American tennis ace Serena Williams, who is eying to equal Margaret Court's all-time record of 24 major singles titles, has been handed over a tough draw in the upcoming Australian Open. American tennis ace Serena Williams, who is eying to equal Margaret Court’s all-time record of 24 major singles titles, has been handed over a tough draw in the upcoming Australian Open. The 37-year-old has been drawn in world number one Simona Halep’s section of the draw and will play her opening match of the tournament against Tatijana Maria of Germany. While the second round clash could see Williams up against resurgent Eugenie Bouchard, a pre-quarters clash with Halep is also a possibility, WTA reported. In the quarter-final round, Williams could potentially face 2019 Brisbane International champion Karolina Pliskova or Garbine Muguruza of Spain, while the semi-final battle of the upcoming Australian Open could be a repeat of 2018 US Open as Williams might face Japan’s Naomi Osaka. As far as the final match is concerned, in-form Angelique Kerber of Germany could be Williams’ opponent. The 23 times Grand Slam title winner had last won the Australian Open title in 2017 when she was eight weeks pregnant. 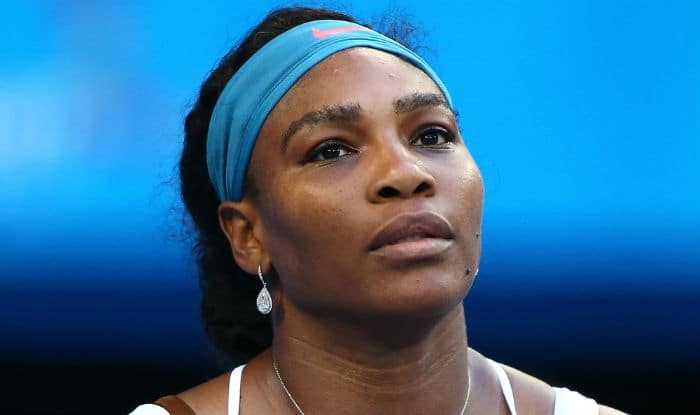 After returning from the maternity leave, Williams made it to the final of the two Grand Slams but could not surpass the final hurdle. A win in the upcoming tournament would make Australian Open Williams’ most Successful Grand Slam event. Australia Open is slated to be held from January 14 to 27 in Melbourne, Australia.